Warm and hearty lentil stew flavored with Bigelow Cinnamon Stick Tea is wholesome and nourishing. 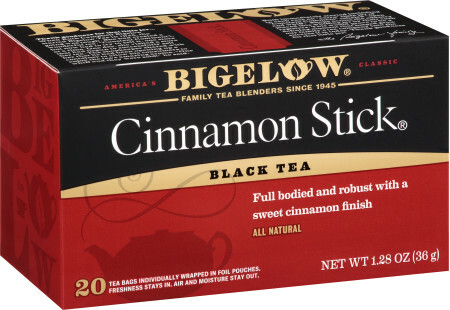 Combine four cups hot water and four Cinnamon Stick® tea bags and allow to steep for approximately 5-7 minutes. Add tea and lentils to a large stew pot. Bring to a boil, cover and simmer for approximately 20 minutes, or until lentils are tender. Remove to a large bowl and set aside. In the same pot, add olive oil and saute onions and garlic until softened. Add cut-up chicken and cook until cooked through and no longer pink inside (about 10 minutes). Add diced tomatoes and cooked lentils to the pan and heat through. Season with salt and pepper. Add chopped almonds and parsley and serve.